We are proud to be recognized as a top employer and health care provider in our region! DNV has provided quality-driven accreditation and clinical excellence certifications to hospital's nationwide since 2008 and is the only hospital accreditation program approved by the U.S. Centers for Medicare and Medicaid. Learn more about DNV accredidation. The Magnet Recognition Program® was developed by the American Nurses Credentialing Center (ANCC) to recognize health care organizations that provide nursing excellence. The Medical Center has been a Magnet® hospital since 2006. The American College of Radiology has designated the medical center as a Lung Cancer Screening Center. The ACR Lung Cancer Screening Center designation recognizes facilities that have committed to practice safe, effective diagnostic care for individuals at the highest risk for lung cancer. Learn more about this designation. Southern New Hampshire Medical Center was announced as winner in two categories for Parenting NH’s 2018 Family Favorites. This award program gives readers a chance to recognize the places, people and things that make New Hampshire a great place to raise a family! Southern New Hampshire Medical Center has earned the Go Clear Award™ for its achievement in eliminating hazardous smoke from its surgical procedures. They are the first facility to receive this award in New Hampshire. Learn More about the Go Clear Award. Southern New Hampshire Medical Center was named 'Most Wired' - a Hospital that uses Technology to Partner with Patients on Health. The Most Wired hospitals are using every available technology option to create more ways to reach their patients in order to provide access to care. They are transforming care delivery, investing in new delivery models in order to improve quality, provide access and control costs. Learn more here. Many of our physicians are among those recognized as “Top Docs” in New Hampshire Magazine’s annual survey. Learn more. The National Committee for Quality Assurance (NCQA) recognizes the Foundation primary care practices for adopting a new model of primary care called patient centered medical home. Learn more about NCQA. The National Committee for Quality Assurance (NCQA) awarded Patient-Centered Connected Care™ Recognition to all five locations of Immediate Care of Southern New Hampshire, for connecting the care we deliver back to patients’ primary care team in a structured and timely manner. The Immediate Care sites are the only providers in New Hampshire and only the second in New England to be recognized. Awarded by the New Hampshire Department of Health and Human Services. Foundation Medical Partners was announced as winners in three categories for Parenting NH’s 2018 Family Favorites. The National Committee for Quality Assurance (NCQA) announced that Foundation Medical Partners nineteen Primary Care Practices have received NCQA Patient-Centered Medical Home (PCMH) Recognition for using evidence-based, patient-centered processes that focus on highly coordinated care and long‐term, participative relationships. 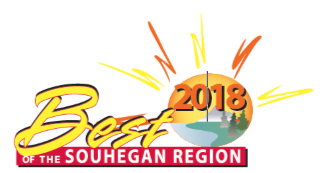 Each year, the ‘Best of Souhegan Valley Region Awards’ recognize local businesses and services that go above and beyond in the Souhegan Valley and winners are chosen by the readers of the Cabinet Press and their publications. This year, Southern New Hampshire Health won in TWO categories! We strive to provide the best quality care possible. To learn more about how we compare with other New Hampshire hospitals, Click Here. HCAHPS, pronounced “H-caps,” the Hospital Consumer Assessment of Healthcare Providers and Systems. Best practices are the techniques and procedures, that based on evidence, have been shown to improve the quality of care. We focus on evidence-based practice in areas that include breast cancer, children’s asthma care, perinatal care quality measures, stroke care and hospital-based inpatient psychiatric services. Read more about safe care campaigns for C. difficile, MRSA, Surgical Site infections, and preventive measures for urinary tract infections and ventilator-associated pneumonia.